I am pleased to announce that Boston Rare Maps will be exhibiting at the 25th Annual Miami International Map Fair on February 3-4, 2018. The Fair will be held at the HistoryMiami Museum on 101 West Flagler Street. 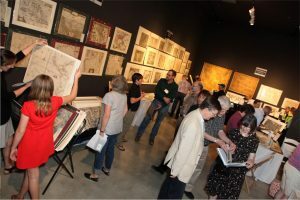 More than 30 leading map dealers from the United States, Canada and Europe will be in attendance, making it the largest event of its kind in North America. A cocktail reception will be held on Friday the 2nd, and educational lectures will be offered over the course of the weekend. Please feel free to call with questions, or visit the Fair’s web site for more information including a list of dealers, schedule and lodging information. I hope to see you there!